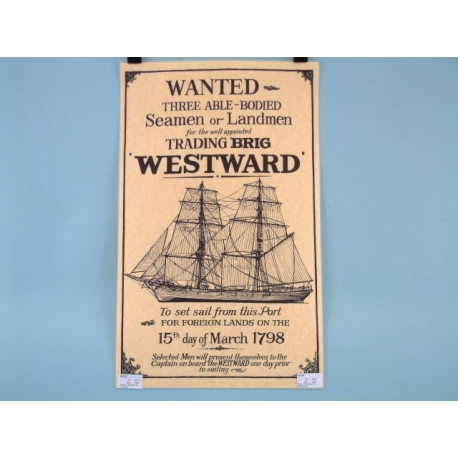 In 1798, this Westward poster would have been a common sight and to some, a welcome opportunity to join the ranks of explorers. Now your customers can take home a piece of history by purchasing this poster. 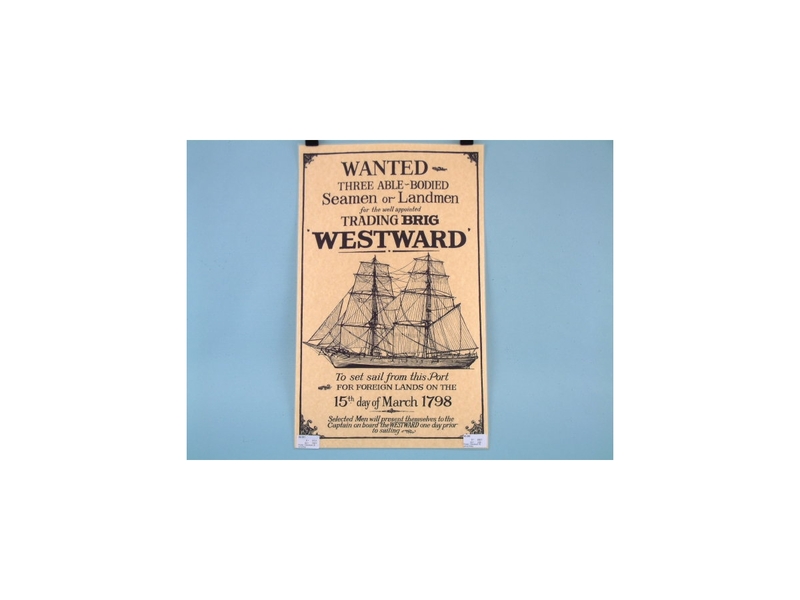 Laminated for lasting effect, this poster is printed on paper that has been stained to look aged. It depicts a trading vessel such as the one selected men would be posted on, with details about where and when it is sailing and to where. This poster will look fantastic once is has been hung up on a customer’s wall, so stock this today.